In Taiwan, the River Billow Machinery was established in 1980. 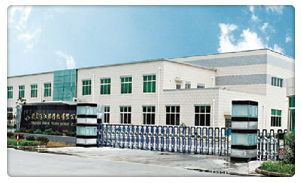 Furthermore, in September 2005, the Jianglian Machinery was founded in Jiangsu, Mainland China. 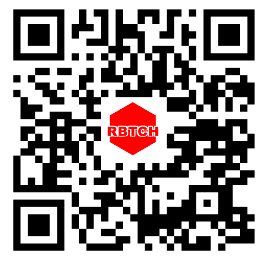 We specialize in R&D and production of aluminum honeycombs with registered capital USD 4.5 million. The total business investment actually amounts to USD 9 million. 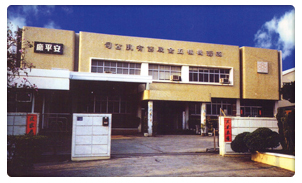 With the stable growth of our companies, the techniques and equipment have been continually renewed and improved; therefore, in order to satisfy the demands of the broad market and focus on the company’s long-term business plan, in Taiwan, a new company, TCcore Applied Honeycomb Technology Co., Ltd. was established. By using advanced equipment and techniques in production process and the professional technical people in aerospace composites, TCcore Applied Honeycomb Technology Co., Ltd. spends its best effort in R&D with honeycomb core materials of the highest quality with a wide range of specifications available for the industries like ships, automobile, high-speed rail vehicles, industrial machinery, construction, electronics industries, architectures, transportation, and academic organizations. Our major products and applications include some composite panels with regular specifications like aluminum honeycomb curtain walls, ceilings, stone panels, clean room and elevated floors. Meanwhile, our products are also widely applied to the interior panels and partitions on the doors of subways, light-rail, high-speed railway and yachts, wall panels of van trucks, window ventilation guides, energy absorbing blocks, noise barriers, advertising boards, computer graphic boards, earthquake-preventing platform boards, hive rectifiers, laser cutting machine platforms, traffic light guide gratings and flat speaker panels. The diversified arrangements for different board materials and professional panel adhering treatment can form divergent styles of composite panel combinations. It is not only suitable for the demands from more industries, but also available to highlight the divergent additive value to honeycomb cores. Therefore, customer demands from different fields can be well satisfied. Currently, our company is implementing the standards of ISO9001-2000. We aim at providing products with deluxe quality, sophisticated technology and hi-efficient speedy service as the ultimate indicators for business management. TCcore Applied Honeycomb incessantly pays close attention to customer demands and expectations with our best effort to keep long-term partnerships with our esteemed customers. Based on excellent technology and sincerity in business management, we keep on innovation and improvement to pursue excellence as the corner stones for our sustainable business management. We sincerely welcome your visit for any prosperous business cooperation commonly plausible. TCcore Applied Honeycomb Technology Co., Ltd. is a professional manufacturer of aluminum honeycomb core and aluminum honeycomb panel. Curtain walls, elevated floor, ceiling, partition board, floor, large doors, cleanroom, silent elevator boards, panels and other decorative arts, etc. van truck siding, subway, light rail, high-speed train doors, car plates, interior roof, floors, car chassis and body, high-speed boats, cruise, yacht interior panels, partitions, etc. mechanical platform, shockproof platform, fiber whole drift, wind tunnel, ventilation plate, die-casting machine, printing plates, advertising display boards. hood, case, compartment plate, doors, floors, etc. lighting astigmatism board, Ventilation Panel, EMI Panel, yacht decorating plate, air flow rectifiers. Car crash test box, Auto-body, Car door. Billow Machinery Ind. Co., Ltd.